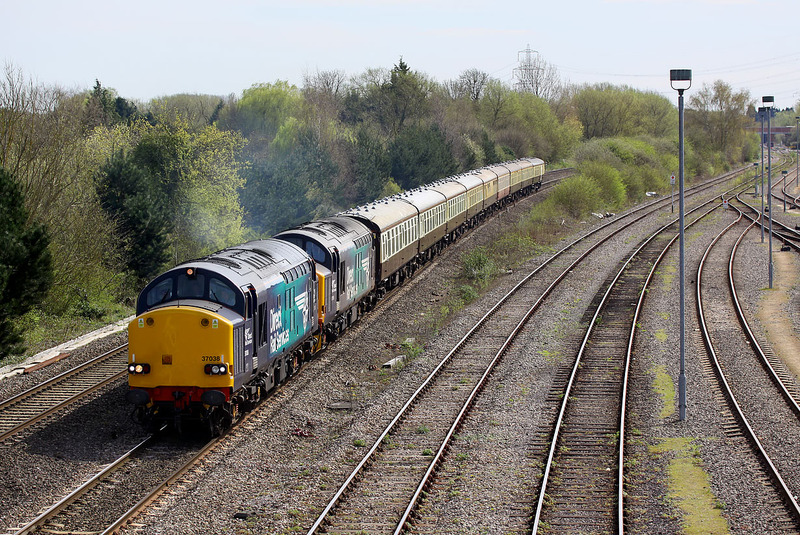 37038 & 37716 amble past Hinksey Yard on 30 March 2017 with the 5Z74 11:28 Eastleigh Arlington to Burton-on-Trent Wetmore Sidings ECS. This was in preparation for the Pathfinder Tours 'Evening Lark', 'Night Owl' & 'Round Robin' railtours. The train had spent the previous 20 minutes sat in Kennington Goods Loop, just beyond the bridge in the background.